Cloud chasing is the act of exhaling large plumes of vapour after using an e-cigarette. Vapers who cloud chase often use e-liquid with a higher percentage of vegetable glycerin as this base allows for larger clouds of vapour to be exhaled. Many vapers across the world have embraced cloud chasing as a more exciting way to vape. Some prefer to do this recreationally with friends, and challenge each other to blow larger and larger clouds; however, there are a few vapers who take cloud chasing more seriously and actually compete in competitions. Cloud chasing competitions are populated with so-called “professional vapers” and “cloud gazers”, those who enjoy simply watching the competitions. Some of the competitions will offer free vaping gear to the best cloud chasers, and a few more serious competitions will feature sponsors and even offer cash prizes! The competitions typically boil down to two different attributes: size and skill. Some competitions challenge vapers to blow the largest clouds they can, whereas others ask vapers to wow the judges with their skills. Some vapers have been known to be able to blow vapour distances of up to six feet. In the skill competitions, vapers will often exhale in creative ways. One common vaping trick is called “The Dragon” and can be performed by exhaling from the nose and the sides of the mouth at the same time. 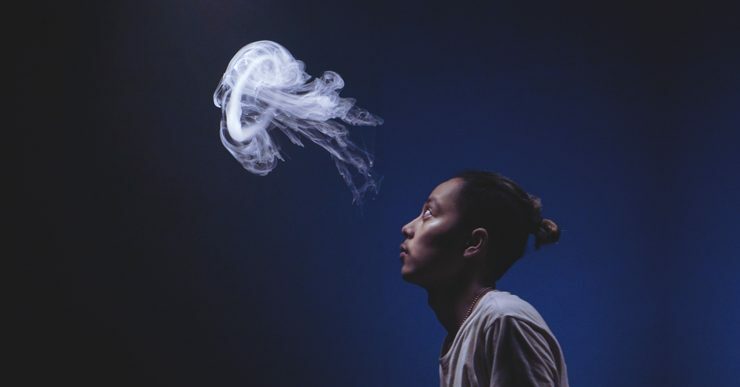 Another trick often referred to as “Pushing The O”, involves blowing rings of vapour which can then be manipulated with the hands and by blowing additional vapour rings. Some long-term vapers have voiced concerns about cloud chasing, particularly in public spaces. 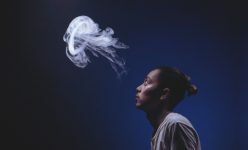 Opponents of cloud chasing argue that it gives vaping a negative image, with the concern being that the act of blowing large clouds near non-vapers will annoy them. However, when cloud chasing is practiced responsibly, there shouldn’t be anything for non-vapers or non-cloud chasing vapers to worry about. Fortunately for cloud chasers, it’s clear that this new “sport” is here to stay.